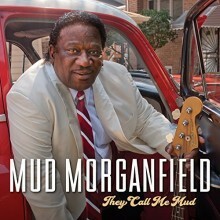 They Call Me Mud, the newest release from Mud Morganfield, is one of those albums on which a musician seems to truly come into his own. While the legacy of his father, Muddy Waters, shouldn’t—and very possibly can’t—be extracted from Morganfield’s blues MO, this album showcases his own unique style. Morganfield, after all, came of age in the ‘70s and ‘80s, when music had already evolved from his father’s era of jazz and blues into a world where R&B, soul and Motown ruled. Combine his bass experience with Chicago bands of those eras to his already existing blues foundation and you have Morganfield’s own style at work. A well-established case of Chicago area musicians add some downhome blues touches to Morganfield’s recording, including Billy Flynn on guitar, Studebaker John on harmonica and backing vocals, Sumito Ariyo Ariyoshi on piano, E.G. McDaniel on bass and Melvin “Pookie Stix” Carlisle on drums. Special guests include Billy Branch on harmonica, Mike Wheeler on guitar and Mud’s daughter Lashunda Williams as a vocalist. There’s a horn section featured on several tunes, and Mud himself plays bass on three tracks. 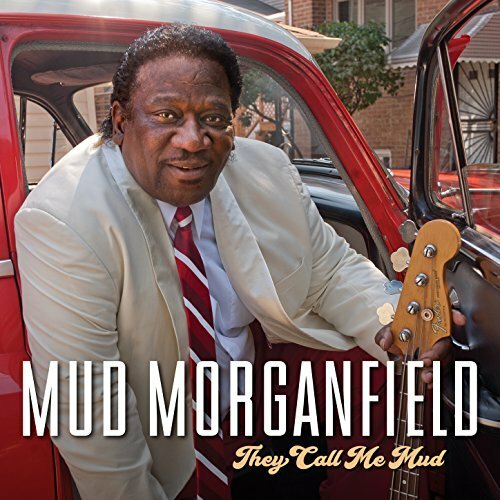 The signature song, “They Call Me Mud,” is one of those songs that really allow the musicians to show what they love to do best, and in Morganfield’s case, that is his vocalized growl which commands immediate attention throughout. “Who’s Fooling Who?” features Studebacker John on harp and Mike Wheeler on guitar going toe-to-toe. Morganfield also pays tribute to his father on the slide guitar blues “Howlin’ Wolf” and the shuffle “Can’t Get No Grindin’,” where all artists take a solo turn at the wheel. Morganfield and his daughter Lashunda provide a moving duet on “Who Loves You,” a song where Morganfield’s R&B inspiration grooves right in. The final selection, “Mud’s Groove,” is a jazzy instrumental enhanced by Bill Branch’s talents on harp, and is a perfect finale. “I think it’s some of the best work I’ve ever done yet” proclaims Morganfield. “I feel that with the variety of material I have on here, people will get a chance to hear the other sides of my music.” The collection completely lives up to Morganfield’s claim. Regardless of whether you are an R&B, jazz, soul or blues fan, They Call Me Mud has something special and unforgettable for everyone. This entry was posted in Blues and tagged 2018, 2018 music review, Amy Aiyegbusi, Blues, Howlin' Wolf, Jazz, Lashunda Williams, Mud Morganfield, Mud's Groove, Muddy Waters, music review, R&B, slide guitar, Studebaker John, Sumito Ariyo Ariyoshi, They Call Me Mud, Who's Foolin' Who by aaamc. Bookmark the permalink.